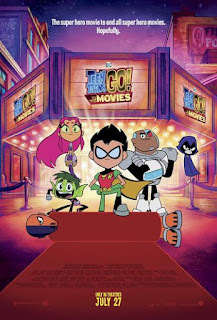 Home » Past Screenings » TEEN TITANS GO! TO THE MOVIES Advance Screening Passes! TEEN TITANS GO! TO THE MOVIES Advance Screening Passes! 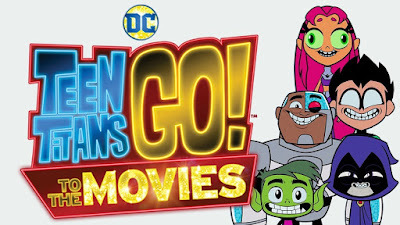 Do you want to see TEEN TITANS GO! TO THE MOVIES before anyone else? Learn how you can see an Advance Screening to see it before anyone else. It seems to the Teens that all the major superheroes out there are starring in their own movies—everyone but the Teen Titans, that is! But de facto leader Robin is determined to remedy the situation, and be seen as a star instead of a sidekick. If only they could get the hottest Hollywood film director to notice them. With a few madcap ideas and a song in their heart, the Teen Titans head to Tinsel Town, certain to pull off their dream. But when the group is radically misdirected by a seriously Super-Villain and his maniacal plan to take over the Earth, things really go awry.